Aloe vera is an impressive plant with an amazing variety of healing benefits. In a single plant, aloe vera offers a potent, natural cure for many internal and external conditions and its medicinal potential makes it a must-have plant for every home. 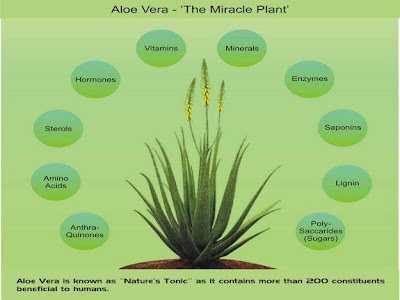 The gel found inside the aloe vera plant is made up of water, 20 minerals, 12 vitamins, 18 amino acids and 200 active plant compounds or phytonutrients, which are responsible for the plant's remarkable healing properties. Aloe has been found to ease the inflammation of joints, including reducing arthritis pain, when used both topically and internally. One study found that people who drank aloe vera for two weeks began to experience a significant reduction of inflammation symptoms. Aloe vera contains acemannan, a natural immune booster. Studies have also shown that when aloe is taken internally it can stimulate and regulate the immune system by stopping inflammation and cutting off the blood supply of tumors. Aloe vera also amplifies the antioxidant effects of vitamins. It makes Vitamin C, Vitamin E and other antioxidants work better, probably due to its effect on enhancing blood quality and allowing the blood to more effectively transport oxygen and nutrients to the body's cells. Research into the anti-cancer effects of acemannan, a phytonutrient found in aloe vera, found promising results. In one study, dogs and cats undergoing radiation for cancer were given acemannan. Not only did the tumors shrink more in the acemannan-treated group, but post-treatment survival was significantly extended. Another study demonstrated that acemannan increased cells' production of nitric oxide (NO), an anti-cancer chemical strongly associated with the shrinking of cancer tumors. Although this particular research was focused on chickens, the same effect has also been observed in humans. In other studies, aloe vera showed a marked result in producing remission in skin cancers. Its highly effective antioxidant effect has also been found to help prevent skin damage from x-rays and other forms of radiation. Diabetic patients who took aloe vera for 3 months experienced a significant drop in fasting blood sugar levels. They also had lower cholesterol levels and slight improvements in total cholesterol. Numerous clinical studies have been published that demonstrate aloe vera's anti-diabetic properties. Aloe vera is nature's first aid kit. It is antibacterial, antiviral and antifungal, making it extremely effective in wound care. Placed directly on or in the wound, aloe vera gel kills bacteria, prevents infection and actually nourishes the damaged tissues while sealing the wound against infection. Aloe has been known to heal third-degree burn victims with no scarring and to restore burned skin that would have normally died. Studies confirmed that wounds treated with aloe heal far faster than other wounds not so treated - both for traumatic as well as surgical wounds. A study on rats showed that aloe vera extended lifespan by 10 percent. The study also found that the rats had a less incidence of blood clots in the heart, less kidney disorders, a slightly lower incidence of fatal leukemia and fewer causes of death compared to the control group. Also, no adverse, toxic effects were found with the ingestion of aloe vera. Aloe is one of the most widely-used ingredients in skin care products. This is because it is great for the skin. Aloe soothes the skin, hydrates it, nourishes it and accelerates the regeneration of new skin tissue. It also enhances skin health when used internally, such as when added to juices. This is just a selection of the conditions that aloe vera is known to improve or cure. 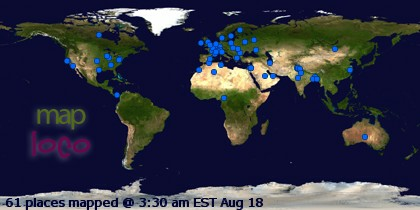 For more information or for further studies, search on Google Scholar. Aloe vera plants are easy to care for. They need bright light and water every two weeks to grow and stay healthy, so keep your plant on a sunny windowsill. Aloe vera is most effective when used fresh so use it as soon as it is removed from the plant. The gel found inside the aloe vera leaf contains its health benefits. To extract this gel, cut off a large leaf from the plant. Either strip away the green leaf from around the gel using a knife, or squeeze the gel out. The plant will heal up around the cut leaf, and will not become infected, due to aloe's anti-bacterial properties. Apply this cool, soothing gel directly onto the skin, or use it internally by adding it to fresh juices. GK King, KM Yates, PG Greenlee, et al.The effect of Acemannan Immunostimulant in combination with surgery and radiation therapy on spontaneous canine and feline fibrosarcomas. Journal of the American Animal Hospital Association, Vol 31, Issue 5, 439-447. Karaca K, Sharma JM, Nordgren R. Nitric oxide production by chicken macrophages activated by Acemannan, a complex carbohydrate extracted from aloe vera. Int J Immunopharmacol. 1995 Mar;17(3):183-8.